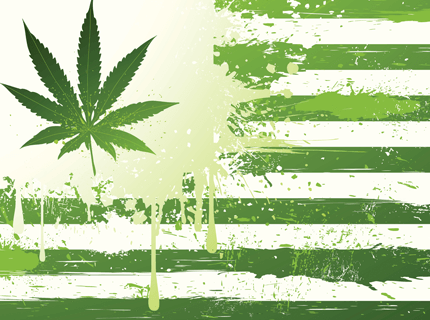 Marihuana will be legal for recreational use throughout the United States in seven years. This is going to lead to a few very tricky situations. Firstly, the people who currently have the most sophisticated growing operations and distribution networks are criminals, many of them cartels from south of the border, and as American corporations quickly move to selling and producing the stuff, they will find themselves either in partnership or in competition with thugs and murderers. Secondly, American prisons are currently filled with prisoners whose only crimes were possession of or distribution of small amounts of marihuana, and the legalization of pot will necessarily cause these cases to be reexamined — after all, it will hardly be just to have people serving mandated sentences for doing something that is no longer a crime. Unfortunately, the country will be ill-equipped to revisit tens of thousands of cases, and so some people will languish for years, waiting for their sentence to be commuted but with no real process that would allow this to happen. These people will become known as “the forgotten ones,” living in a legal limbo in which they are still serving sentences for crimes that no longer exist. Some states will have governors who free all these prisoners with the stroke of a pen, but others will stall, not wanting to be seen as being soft on crime or releasing mass amounts of drug offenders at once.